The Prodigy are using social media extensively to promote their comeback album 'Invaders Must Die'. 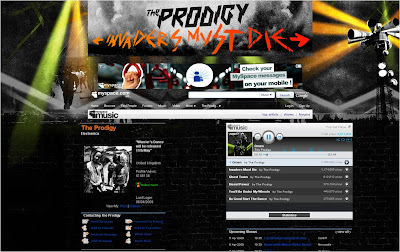 Social sites are awash with Prodigy content and there are numerous ways for fans to interact, with the main website at www.theprodigy.com acting as an aggregator / activity hub. However, rather than just dump content all over the internet, the Prodigy are managing all of this and keeping it updated. 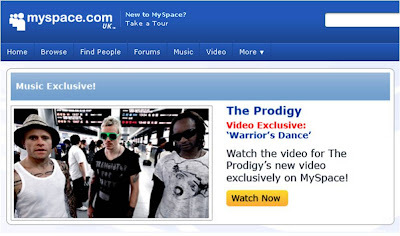 The Twitter account is regularly used and the Prodigy are also posting behind the scenes TwitPics. 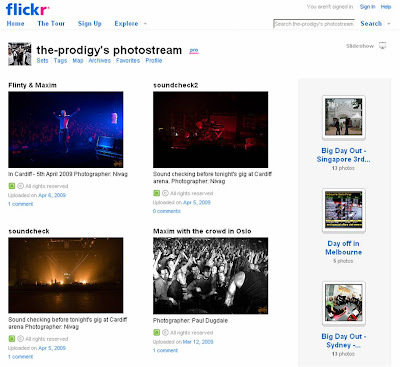 Photos are frequently uploaded to Flickr and then embedded in the Prodigy Facebook Fan Page. Comments across the internet are being responded to and fans are being engaged - the Prodigy are even using social media to take requests for their live shows! This effort seems to have paid off. 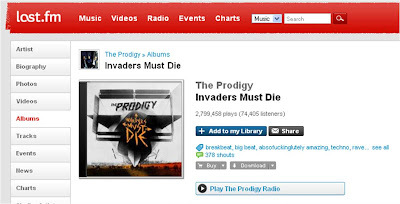 According to the Prodigy Wikipedia page, 'Invaders Must Die' charted at number one in the UK with "week one sales of over 97,000 - a higher figure than for either 'Always Outnumbered, Always Outgunned' or their singles collection. The album also charted top 5 in Germany and Australia. The single "Omen" debuted at #1 on the Canadian Singles Chart the week of February 25th, 2009." After 14 years Guns 'n' Roses return with YouTube competitions, fan forums and free Dr.Pepper! Great round up Nick. Good to see they've really committed to managing the whole process and it's obviously working for them. Smart. Thanks for the link too.